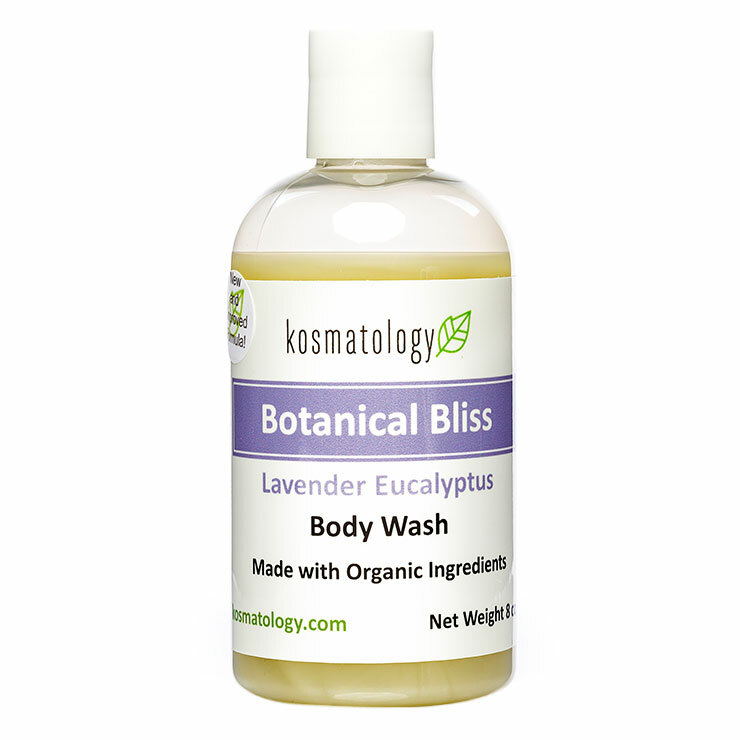 Kosmatology Body Wash cleanses with a delicate lather that leaves skin feeling soft and silky. Designed for all skin types, olive oil and shea butter lend a feeling of softness and hydration post-cleanse. No tightness or feelings of irritation. 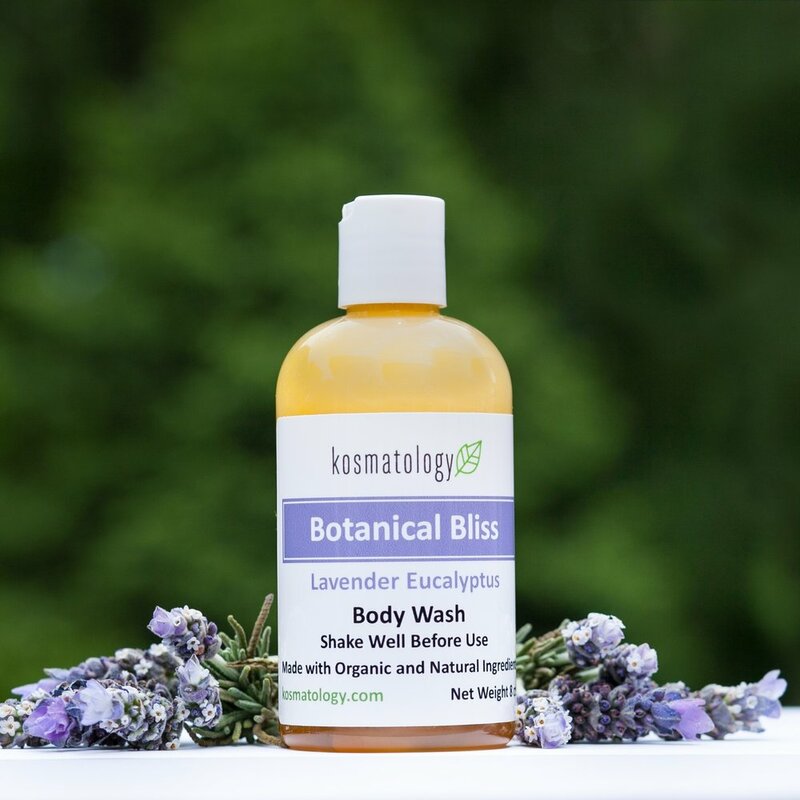 Lavender and eucalyptus make skin look calm and refreshed. Spearmint and rosemary provide a look of balance and healthy vibrance. 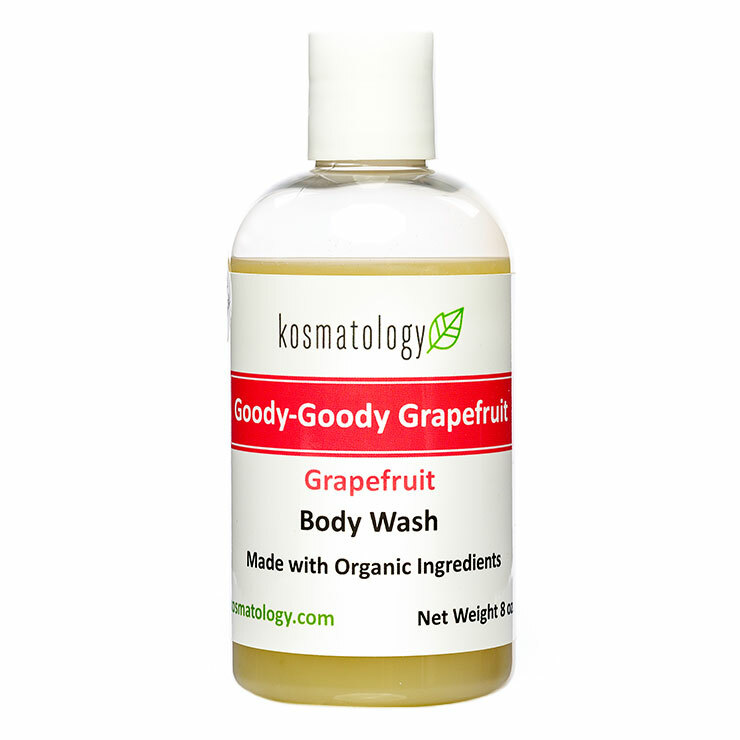 Grapefruit essential oil offers a cleansing and purifying sensation to skin. 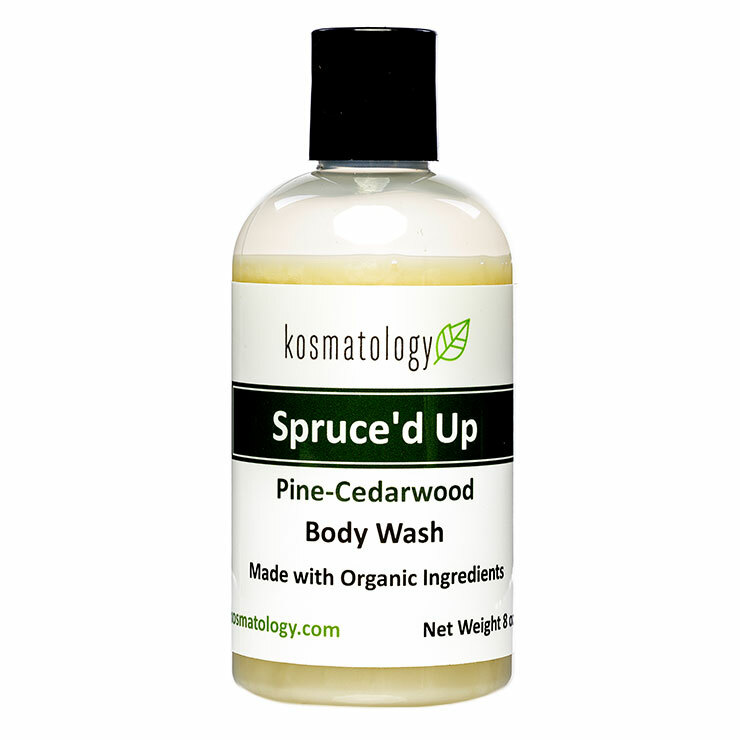 Pine, cedarwood, and cinnamon visibly tone and calm. Apply dime-sized amount of organic body wash to washcloth or loofah, work into a lather, and cleanse body. Rinse and follow up with your favorite body moisturizer. Aqua, Organic Olea Europaea (Olive) Oil, Potassium Hydroxide, Sodium Chloride, Organic Butyrospermum Parkii (Shea) Butter, Organic Ricinus Communis (Castor) Oil, Organic Lavandula Angustifolia (Lavender) Essential Oil, Organiceucalyptus Globulus (Eucalyptus) Essential Oil. Aqua, Organic Olea Europaea (Olive) Oil, Potassium Hydroxide, Sodium Chloride, Organic Butyrospermum Parkii (Shea) Butter, Organic Ricinus Communis (Castor) Oil, Organic Mentha Spicata(Spearmint) Essential Oil, Organic Rosmarinus Officinalis (Rosemary) Essential Oil. Aqua, Organic Olea Europaea (Olive) Oil, Potassium Hydroxide, Sodium Chloride, Organic Butyrospermum Parkii (Shea) Butter, Organic Ricinus Communis (Castor) Oil, Organic Citrus Paradisi (Grapefruit) Essential Oil. Aqua, Organic Olea Europaea (Olive) Oil, Potassium Hydroxide, Sodium Chloride, Organic Butyrospermum Parkii (Shea) Butter, Organic Ricinus Communis (Castor) Oil, Organic Pinus Sytvestris (Pine) Essential Oil, Organic Cedrus Atlantica (Cedarwood) Essential Oil, Organic Cinnamomum Zeylanicum (Cinnamon) Essential Oil. Aqua, Organic Olea Europaea (Olive) Oil, Potassium Hydroxide, Sodium Chloride, Organic Butyrospermum Parkii (Shea) Butter, Organic Ricinus Communis (Castor) Oil.